"Collectively, these essays constitute the best single inquiry into the religious significance of chemically occasioned mystical experience that has yet appeared." "This book provides a balanced, thoroughly researched and clear account about a topic that has fascinated people for centuries -- even millennia -- and will be with us, one way or another, for a long time to come." "An important book for anyone who cares about the future of the human race. The sensible use of entheogens is one of the most promising paths to deep spiritual insight for many people, and this book shows how that can be done -- if we care enough." "We have long needed this well-articulated, thoughtful, and rational basis for understanding the power of psychedelic biochemicals to stimulate visionary experience. 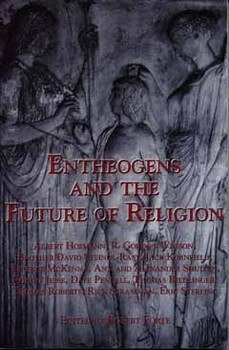 These essays make a strong case for the use of these substances in future religious practice." "If you want more than emotional and subjective outpourings about entheogens, and if you think like I do that unless we expand our awareness we will not have a happy future, then this is the book to read." "Essential readings for everyone concerned with spiritual, psychological, and social well-being. A fascinating and significant collection." "Offers a thoughtful, sane examination of a topic of great social, psychological, and religious significance."